Rob Klingberg lighting kit looks great, nice work. Hope people respond to it well! Hooray for drilling! Question: what made you go with so many LEDs for the engine? Brett Halper Thanks for the feedback. RE: the engines, we tried many different configurations-- lights inside the blue tubes, lights behind the tubes, etc. We tried our cool white light strips as well, but in the end we needed two different channels of lighting in the engine section (one revs up initially when the engines start, and the other activates when the engines move to full power), and once we did that, we tried a light strip solution that provided evenly-distributed lighting across the full engine width. So in the end it came down to flexibility, even coverage, and cost (it was actually less expensive to provide the longer strips vs. individual light strips with connectors and cables). Rob Klingberg Makes sense. Appreciate the explanation. Hi there! Great job with this kit. I have no experience with Lego sound and illumination projects so sorry for the ignorance but what kind of power supplies are needed for the core sound and light? Where can I find them? How much do they cost? Is the core kit easily upgradable to the top one? Floriano Paes Hi, and thank you for your post. If you purchase the Core Light and Sound Kit, you can use either 2x of our USB Power Cables or 2x of our Power Functions Power Sources. If you decide to add the internal lights later, you can purchase that kit and easily connect it directly to the lights already installed-- no additional power supplies needed. I hope this helps. Thanks again for your question! Rob Klingberg Thanks. So if I pre-order today I'd be charged right now or only when the kit is ready to go on February? Would you include the 2 USB Power Cables in the same package for free international shipping? Floriano Paes While Rob Klingberg is the master and keeper of all official answers, historically I've found pre-orders are charged at the time of purchase (the shopping cart isn't "smart" enough to know that the item will ship tomorrow or in three months), and in the past yes, the good folks at Brickstuff typically gently pack everything into the same box - it's just easier (and doubly true if the parcel is going international... safer to get just one package in transit versus two, and cheaper to boot). Floriano Paes Thanks for your question. You are correct in that you will be charged now and we will ship everything together when the kit is ready. Hey guys! I really love what i see in here! Now i found your awesome work and i want to get one of those premium kits. Can someone tell me which power option i should choose? I dont know if this is important, but i live in Europe. Philipp Moser Hi Philipp! Thank you for posting on the forum. 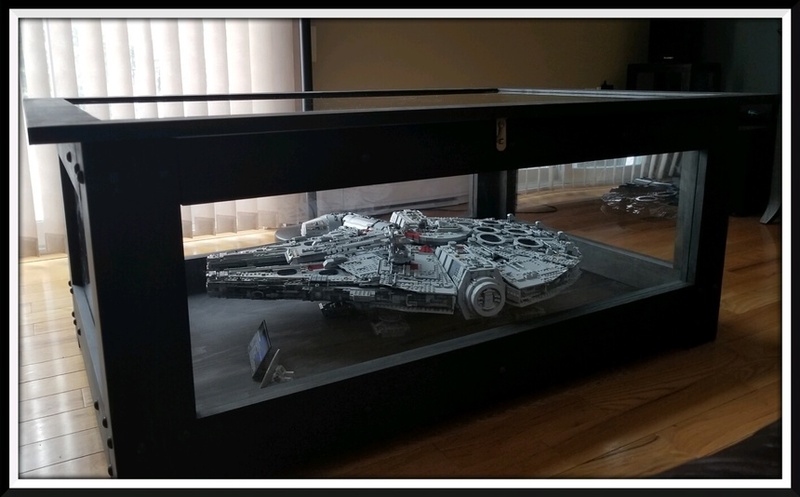 I'm glad you like what we're planning with the light and sound kits for the Falcon. 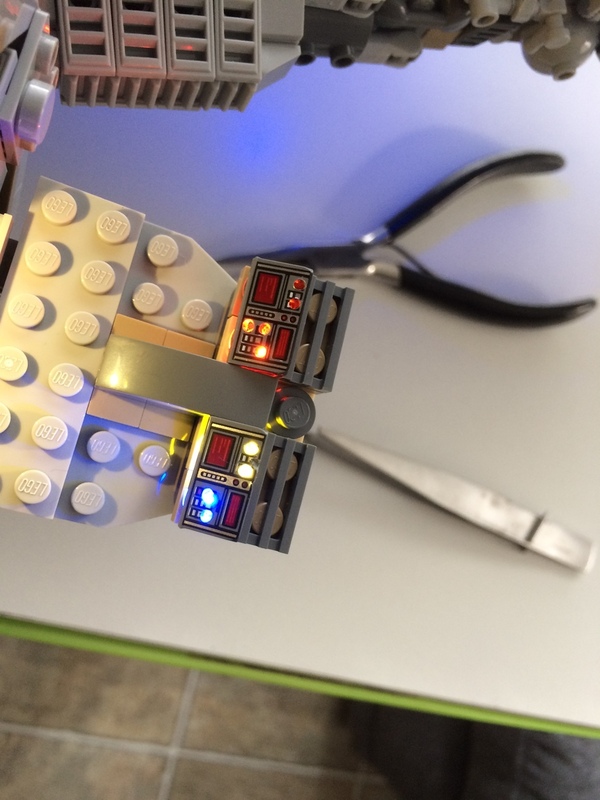 To answer your questions, the Power Functions power option allows "portable" operation of the kit using two LEGO Power Functions batteries, which can be mounted inside the Falcon. The USB cables are used to power the kit externally-- they allow connection to any iPhone/iPad type USB charger, so if you have two chargers with EU plugs, you can use them to power the USB cables and the kit. Note that two PF batteries are needed if you go with the PF option, and two plug-in USB mains adapters are needed if you go with the USB option (this is because of the large amount of power consumed by the lights and sound amplifiers onboard). I hope this helps clarify-- please let us know if you have any additional questions. Thank you again! Looking forward to purchasing the kit. Will likely be getting the PF premium version. The last post mentioned the need for 2 PF batteries. Can you please clarify if these are included with the kit or not? I don’t own any PF items. LEGO.com shows a couple “battery holders” (AA and AAA) and a rechargeable batter pack. If these are not included with the premium kit which of these is needed to get the falcon powered up. Much thanks. Shannon Peel Hi Shannon, thank you for your question. The kits do not include batteries, so you would need to buy two battery boxes from LEGO. 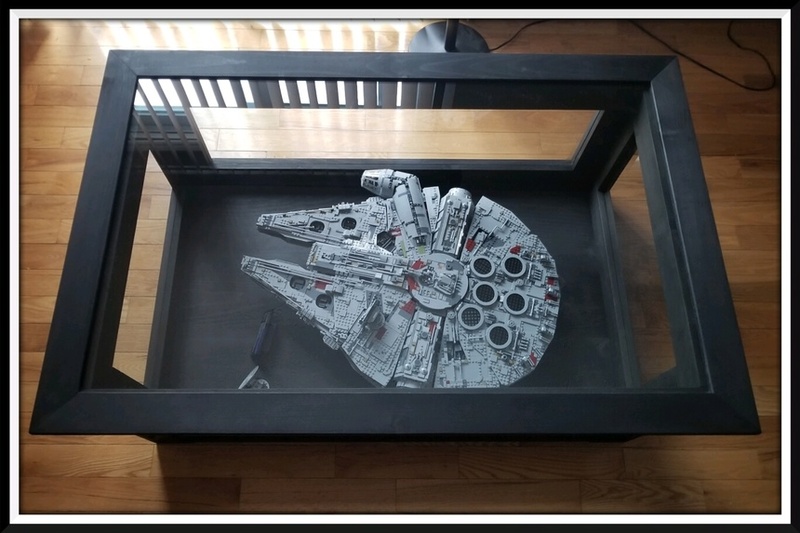 Either the AAA version or the rechargeable version will work (the AA version is too large to fit inside the Falcon). The rechargeable batteries will last longer, but they are much more expensive and you would also need to buy the LEGO charger for the battery, so the AAA version is likely the best choice. We plan to post more details soon about estimated run-times with different types of battery boxes. Rob Klingberg thank you for your fast and clear answer! Now i just have to wait for the falcon back in stock and then order one of those awesome premium kits! 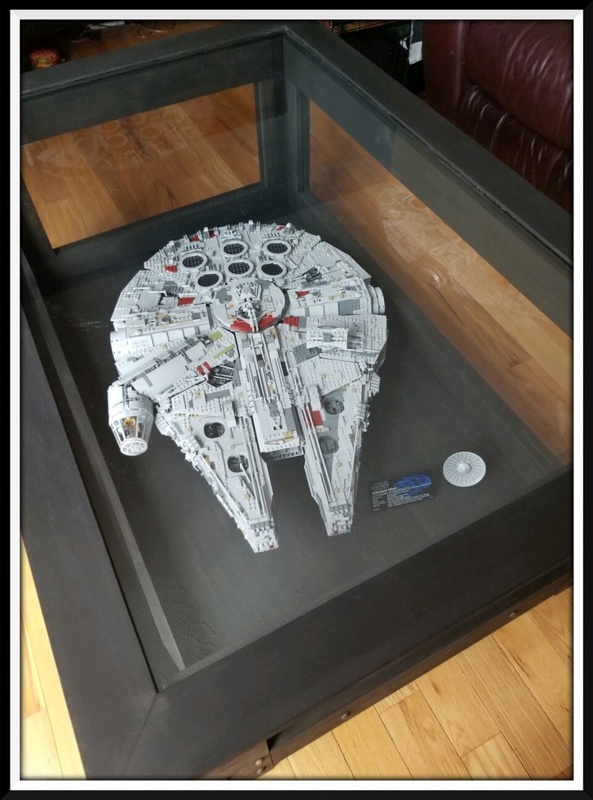 On 1/9 The Brick Fan reported that the Falcon is back in stock on Shop@Home! David Newell Hopefully there will be steady flow of new kits into the retail channel now, so fans can get their hands on one! Hi. I have KIT26USB on pre-order and I have received my Falcon today. Are you able to share any instructions that will be supplied with the kit, or at least give some indication as to what point I can build to before needing to include the lighting? David Wilde Hi David, thank you for your question. 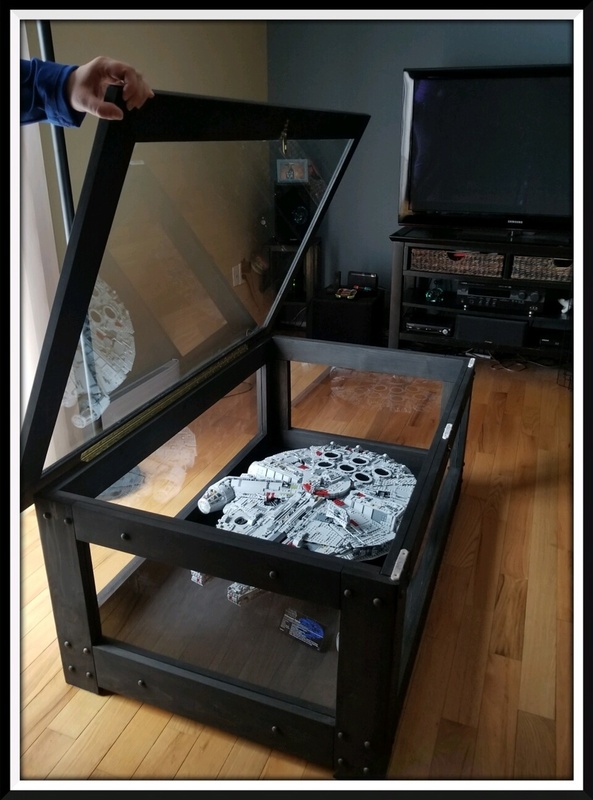 We're still working on the installation instructions for the kit, but you can build your entire Falcon before installing the lighting. Because of the large amount of free space inside the ship, it is very easy to install the lighting and sound after the kit has been built. So, build away! Very interested in the kit. Had a couple of questions. Is there a cut off date for the pre order? If I miss that date will there be kits available after that as part of regular stock? How close are you to finalizing the kit? I read through the this thread. Not sure I understand how the kit is powered. I know there are two different options. Is one version a wired (plug in) version? And the other works off batteries that I would need to get separately? We plan to make "rolling" batches of pre-orders. We're on our April batch now, and once that fills up, we will move to a May batch and so forth. We don't plan to stop making the batches anytime soon, so you won't miss out. We hope to be able to add the kits to regular stock sometime in the summer, but if pre-orders continue as strong as they have been, we may stick with the pre-order model (each kit takes quite a bit of time to hand make). The kit is finalized at this time-- we're already into production of our first batch and expect to begin shipping orders from the first (February) batch very soon. You are correct-- we offer two options with the full-featured kits: one that uses USB cables and the other that uses LEGO Power Functions power supplies. We recently added a FAQ link on the main product website that explains what is needed with each option. You can read that FAQ here. I hope this helps answer your questions-- please let us know if you have any additional questions. Thank you for your interest in our kits! Thanks for the info. Definitely interested and 99% going to buy one. 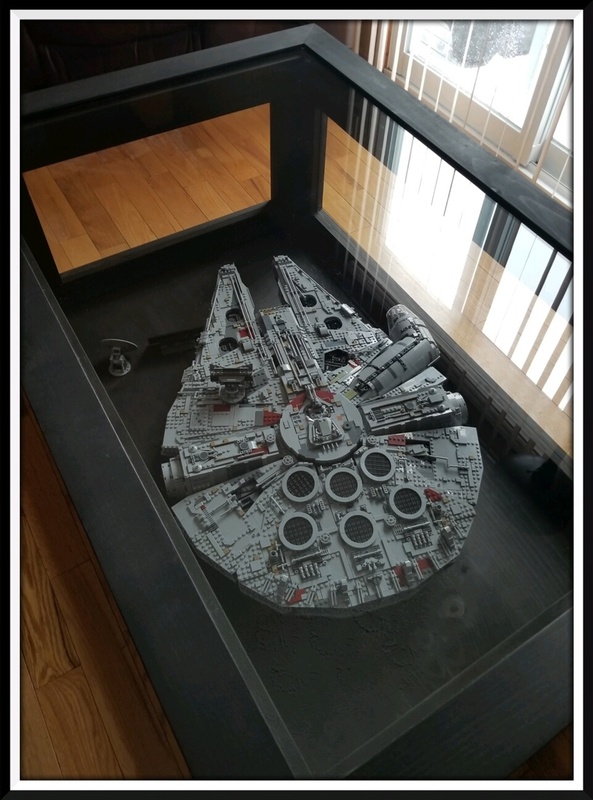 Just have to recover from the expense of the Falcon and the money I put into building a display/table. So with the USB style sounds like you have to have plugged in all the time? The other style where it seems like you just have to plug in to charge the batteries? Wayne Goguen That is correct (mostly)-- with the USB option, you could also use external USB power banks to power everything, so if you have a table, you could put the batteries under the table for easy access for charging. 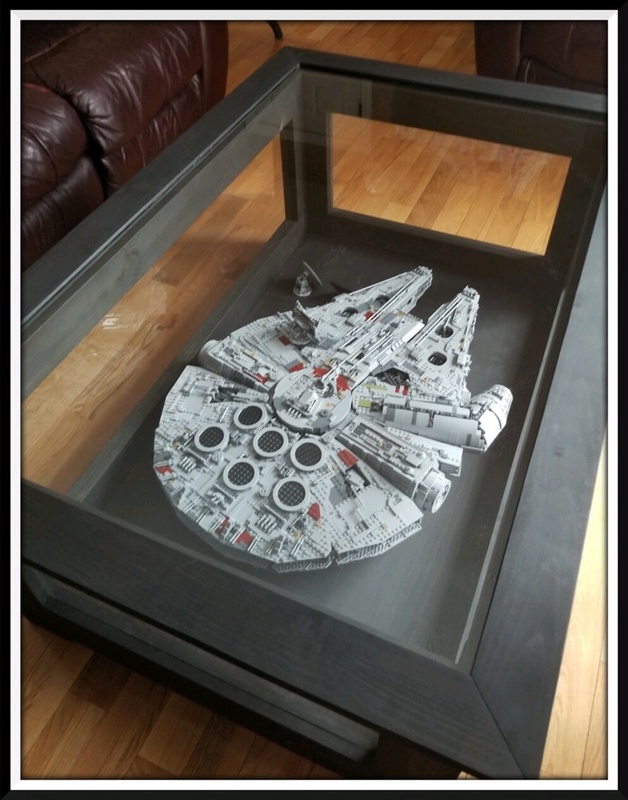 Let us see what your table looks like!